The task force on Toronto Community Housing Corporation, headed by Senator Art Eggleton, has proposed bold strategic change. TCHC houses about one-quarter of Greater Toronto's tenants with low incomes, so its future is important for the health and social well-being of this city and region. Although our former mayor TCHC's problems on poor management, a new report makes it clear that the problems are broader and the fix must be strategic. Townhouses and highrises replace 1950s public housing redevelopment. The task force on Toronto Community Housing Corporation, headed by Senator Art Eggleton, has proposed bold strategic change. 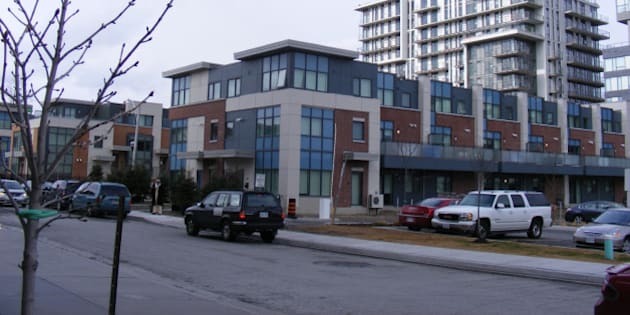 TCHC houses about one-quarter of Greater Toronto's tenants with low incomes, so its future is important for the health and social well-being of this city and region. Two things stand out in its many recommendations: a new structure for the organization, and better support for tenants with special needs. Although our former mayor blamed the problems on poor management, the report makes it clear that the problems are broader and the fix must be strategic. The first move is to separate the role of running buildings and serving tenants from the renewal of property assets to meet long-term needs. For most of its 14 years of life, TCHC has put efforts into saving costs on property management, and building up its expertise and track record in development. Its revitalization of Regent Park and other communities is widely celebrated and its expertise is recognized. The side that has suffered is responsiveness to tenants, the people that TCHC exists to serve. A landlord with a couple of hundred large old buildings, home to people with low incomes, social disadvantage, and old age or disabilities or kids, must have much more than basic property management. It needs tenant relations staff, security staff, community and youth workers, and ways to link tenants to services in the surrounding community. A call centre is no substitute for responsive staff on the ground. And it is hard to do this well if the development arm is first in line for available dollars and attention. The task force's solutions are decentralized property management and transferring the management of various properties to community-based non-profits. Some concerns are being voiced that this is selling public assets, offloading responsibility, or abandoning tenants. But the City has another main role in social housing besides TCHC. This is to fund, coordinate and oversee a system of almost 90,000 affordable units, one-third of them in community-based non-profits and co-ops. The City does this expertly and there are lots of safeguards to ensure those groups' accountability and capacity. The success story of Canadian social housing a generation ago wasn't about low-income government projects - it was mixed-income community housing in a system funded and overseen by government. British Columbia and the United Kingdom take this approach further and do far better than Ontario. A separate corporation would do long-term asset management. If we want to renew those aging 90,000 units once they hit the 50 or 60-year mark, we need to ramp up activity. If the federal government comes through on its promises about social infrastructure funding we can make a serious start. This activity fits with the City's funding and system management role, not its role in operating housing and serving tenants. When public housing was built in the 1960s and '70s, a majority of tenants were either working poor or seniors in their 60s. Today, it has unfortunately become housing of last resort. Many seniors are in their 80s and need home care. More intake priority has been given to people with mental health disabilities or who were homeless, and many of these residents need extra support. Many TCHC family buildings sit in neighbourhoods that were once ordinary working-class areas but are now quite poor, and kids face real disadvantages that demand active community programs. So the task force recommends that TCHC or its successor get systematic about partnerships with community agencies for seniors services and mental health, and the Local Health Integration Networks that fund them. The report points to successful TCHC pilot programs in partnership with LHINs and those agencies. The Ontario government has announced its intention to reform LHINs, giving them direct responsibility for home care, as well as a role in public health that must mean a stronger relationship with the City. This is an opportunity to make sure that health-funded housing supports are built into LHIN priorities and LHIN-municipal collaboration. The money required would be a fraction of a penny on every dollar of health spending. The task force's recipe is fundamental change, and there are many questions that need answers and call for due diligence. Senator Eggleton stated on Tuesday that the first and foremost problem is funding, and the largest challenges there are unresolved. But this is an opportunity to seize, to carry out some big changes and ensure that decent housing supports the health and well-being of Toronto residents. Greg Suttor is a senior housing researcher at the Wellesley Institute.